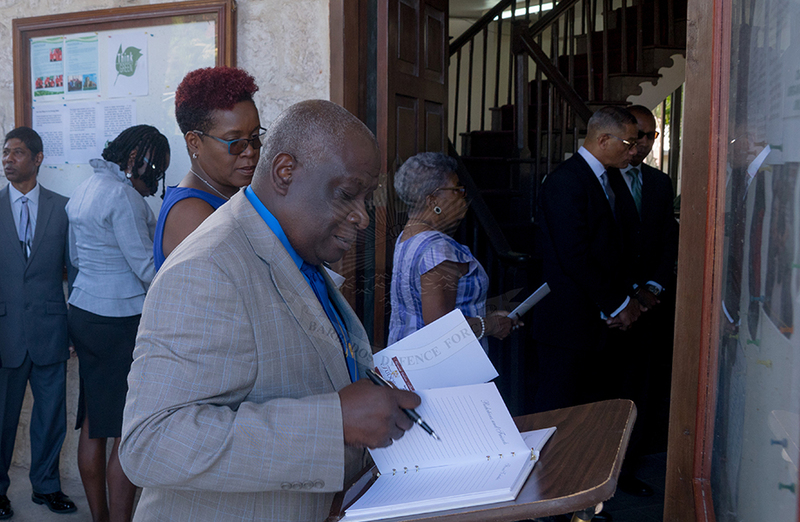 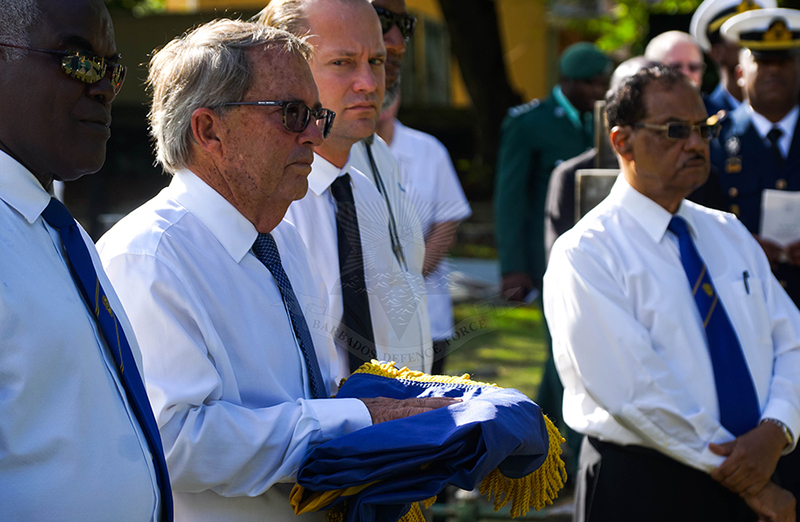 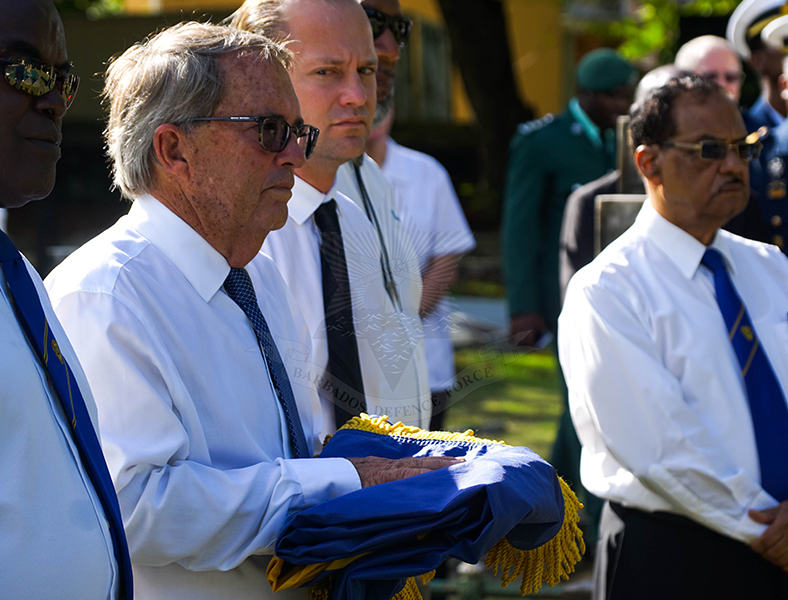 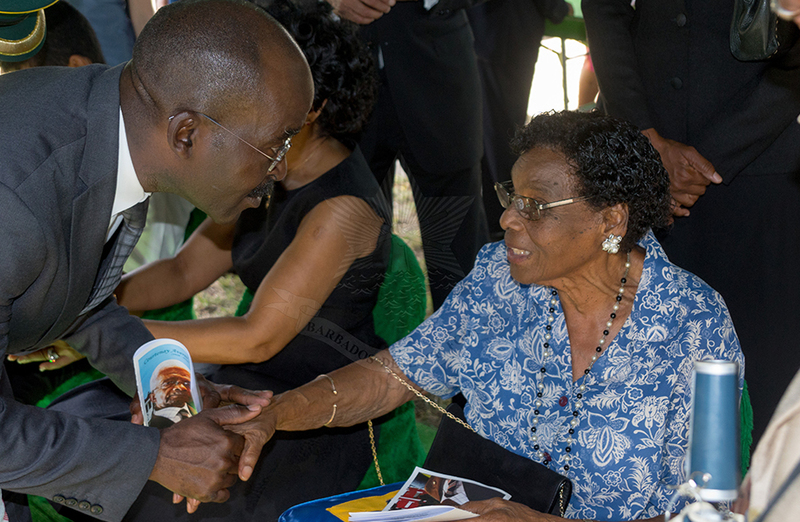 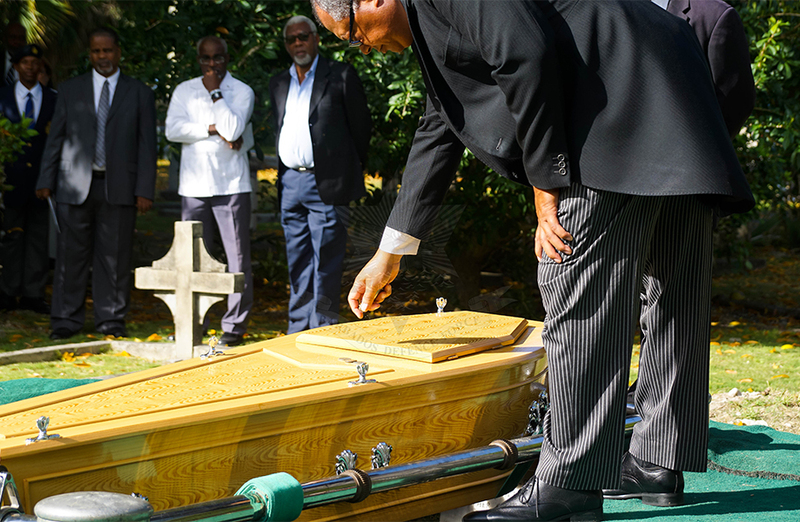 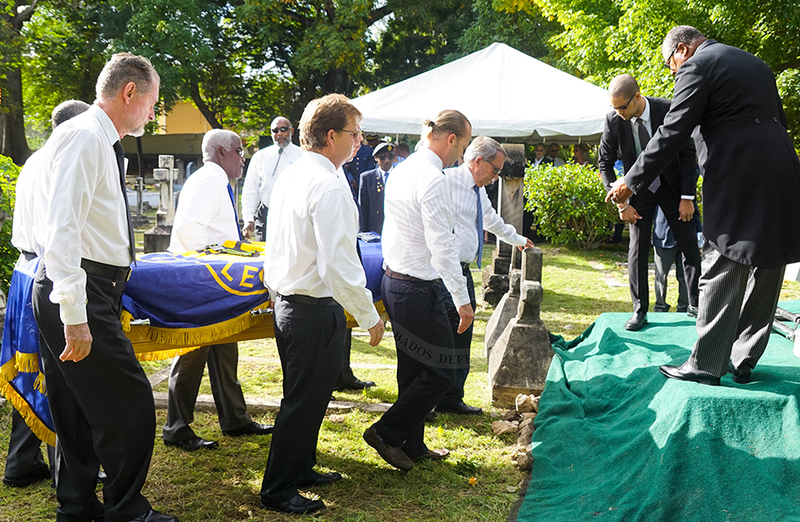 The Barbados Defence Force bade farewell to another of its stalwarts in a Service of Thanksgiving for the Life of Major (retired) Courtenay Averill McConney B.S.A; OSt.J ED, at the St Matthias Anglican Church on Saturday 5 January 2019. 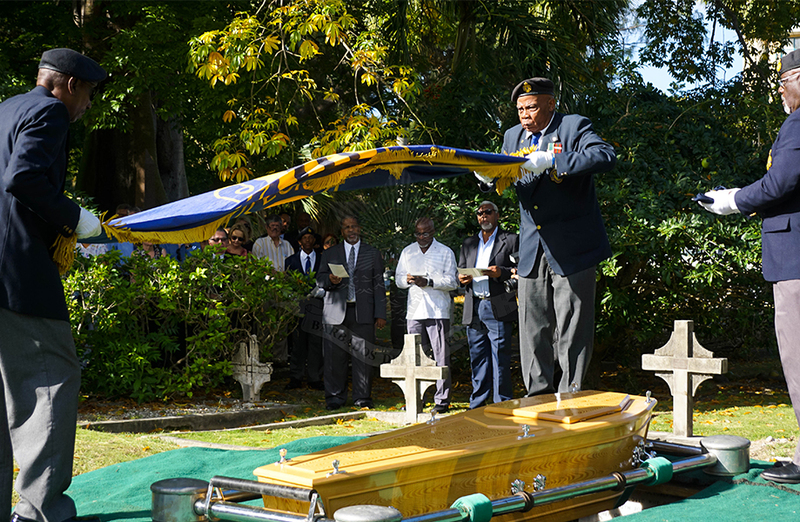 He was interred at the Military Cemetery, Gravesend. 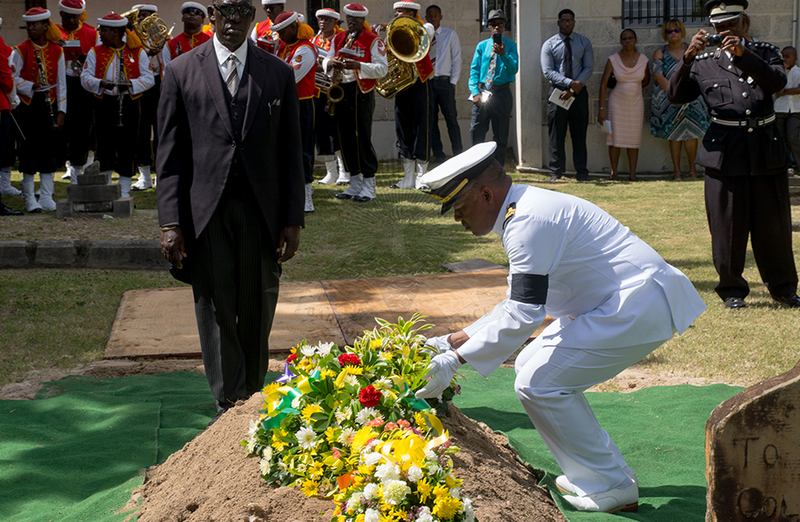 He enlisted with the Barbados Regiment in 1950 and among his many appointments, served as Adjutant in the Barbados Regiment in the 1960s and 1970s and was the Commanding Officer of the Barbados Coast Guard Service when it was a civilian-based entity and located at Enterprise, Christ Church. 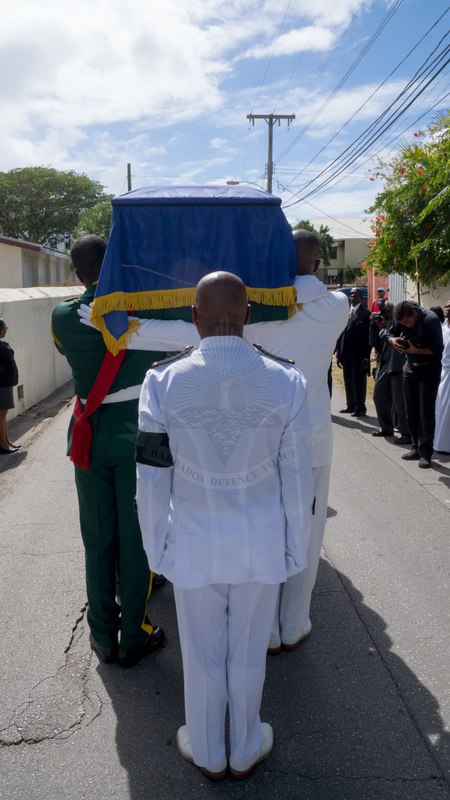 During his distinguished public service career, he worked in several departments and ministries, including Customs and Excise, the Ministry of Defence and Security and with the Caribbean Broadcasting Corporation. 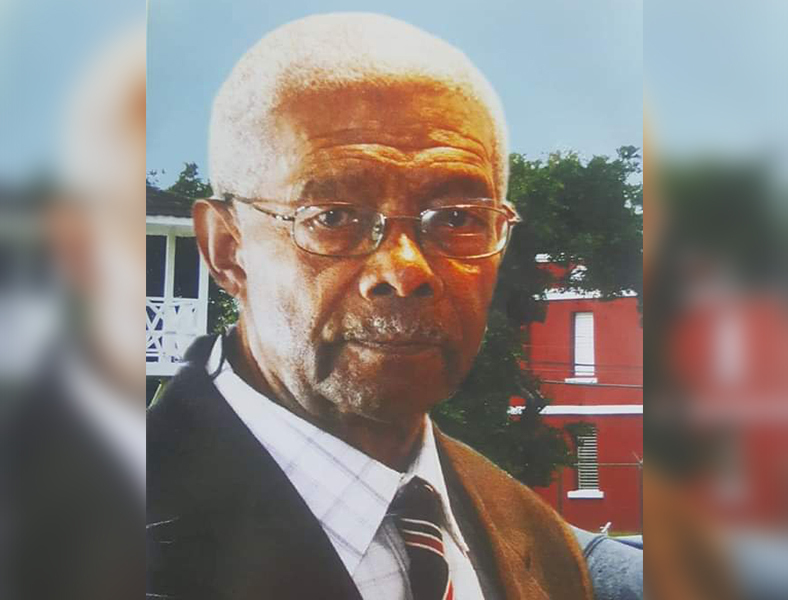 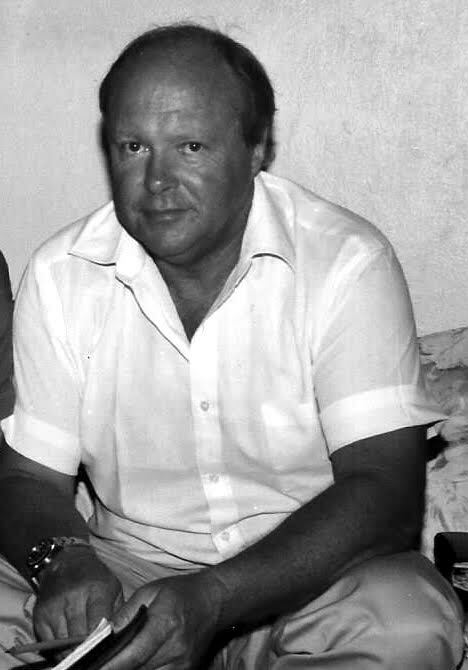 He was a member of the St. John Ambulance Brigade until he retired as Commander in 1998. 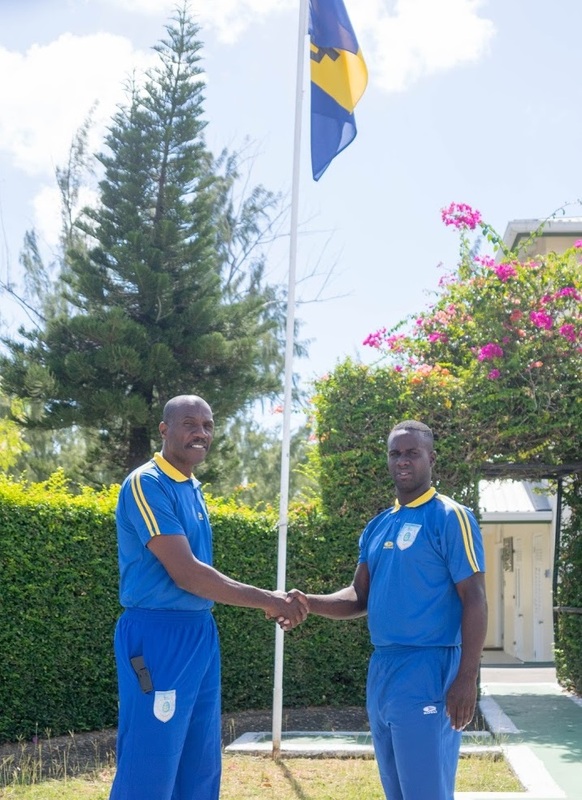 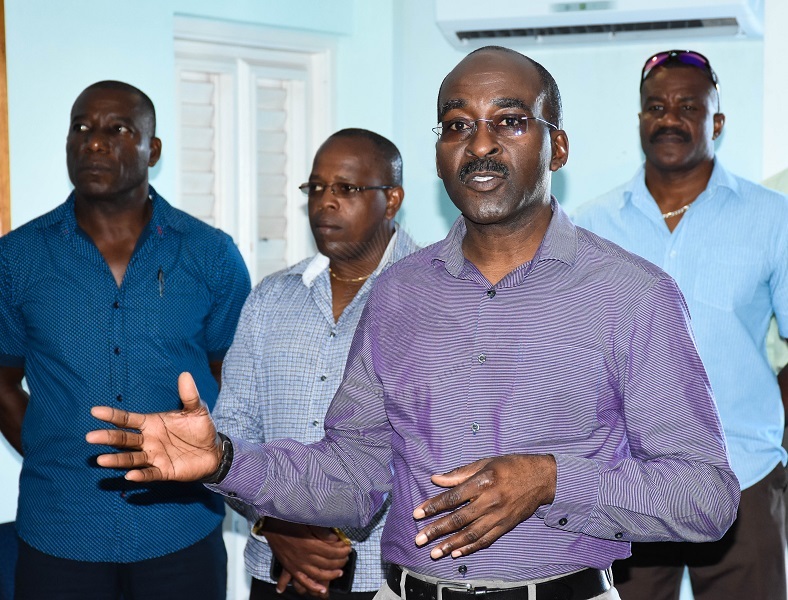 The mission of the Barbados Defence Force Sports Programme is to develop a unique body of highly trained athletes in various sports, capable of representing the nation at the highest levels of competition, and to be well-rounded in their social, educational and moral development. 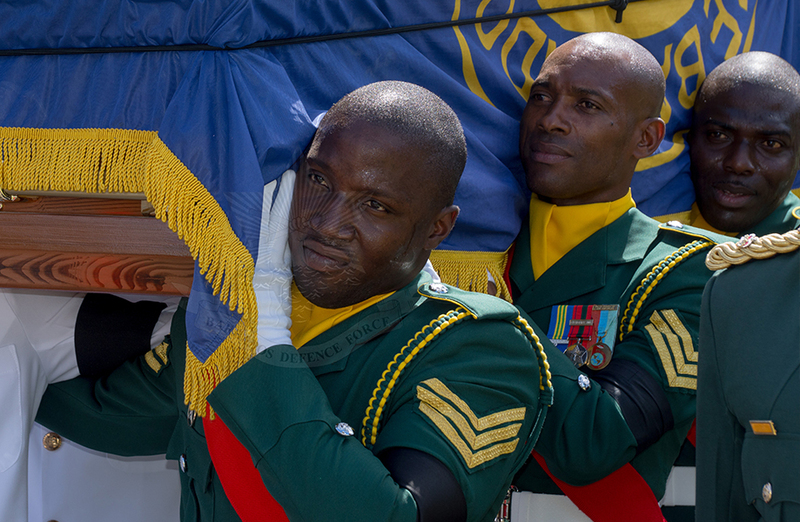 Since its inception, the BDF SP athletes, such as Pioneer (Pnr) Vitaly Wilkinson, have performed creditably in their respective disciplines. 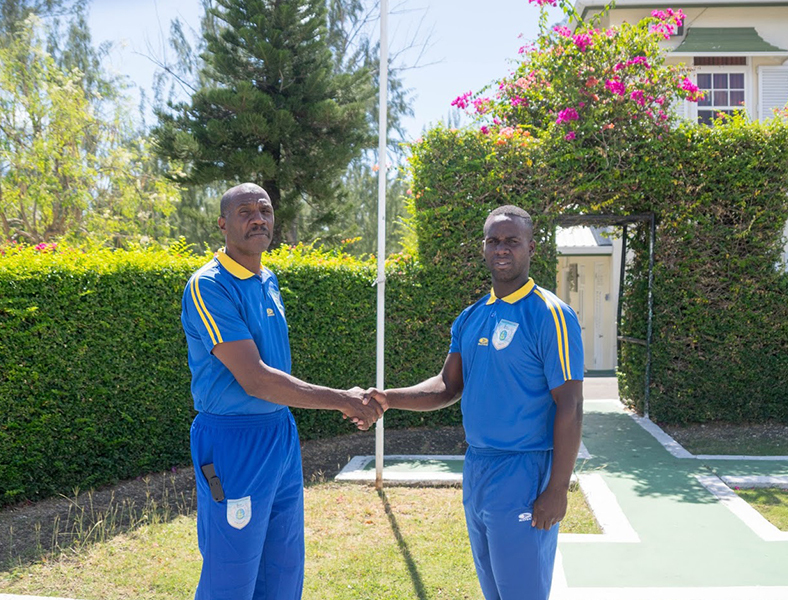 Pnr Wilkinson V has been awarded a cricketing attachment to Keilor Cricket Club in Australia. 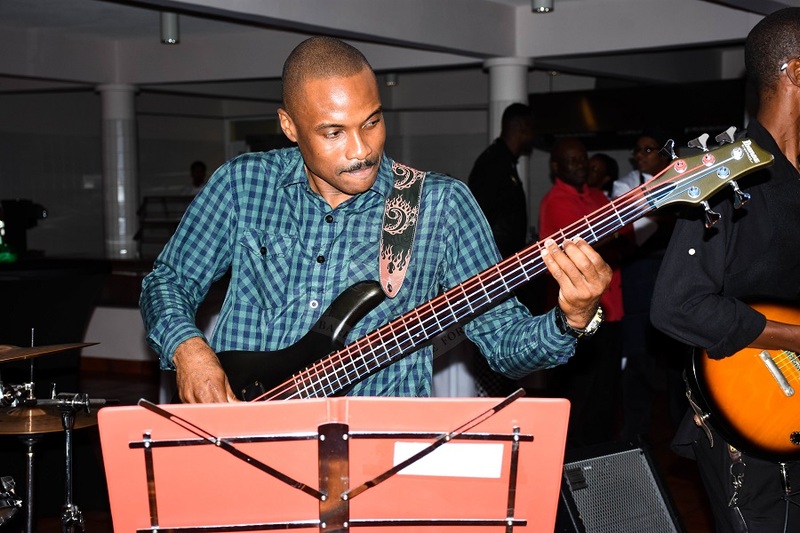 Wilkinson who enlisted in the BDF SP in 2015 and has developed into a talented all-rounder and displays extraordinary skills as a fielder. 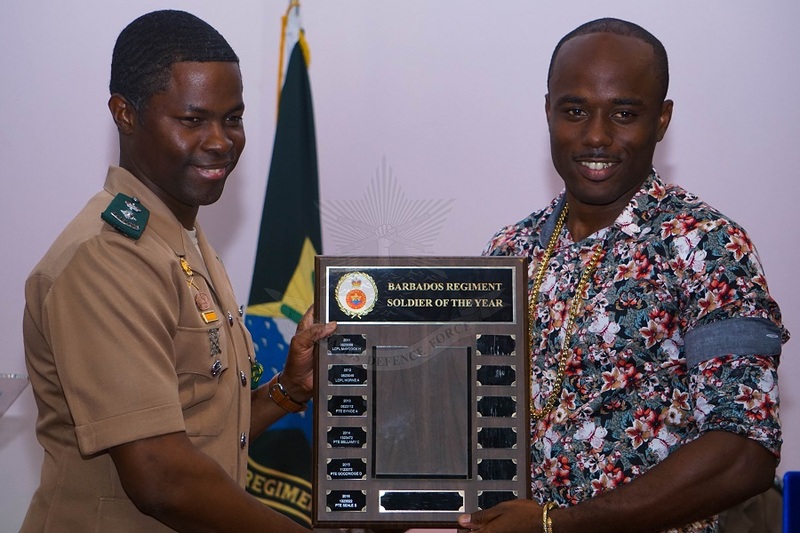 In 2017, he received the Barbados Cricket Association’s award for the Most Catches in a T|20 competition. 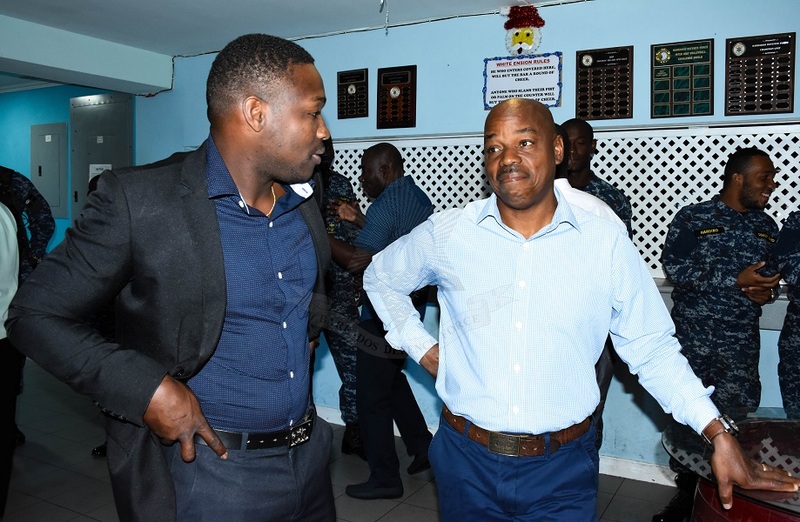 Sgt Grant T (left), NCO in charge of the BDF SP is seen here providing Pnr Wilkinson V (right) with words of encouragement on his future endeavours. 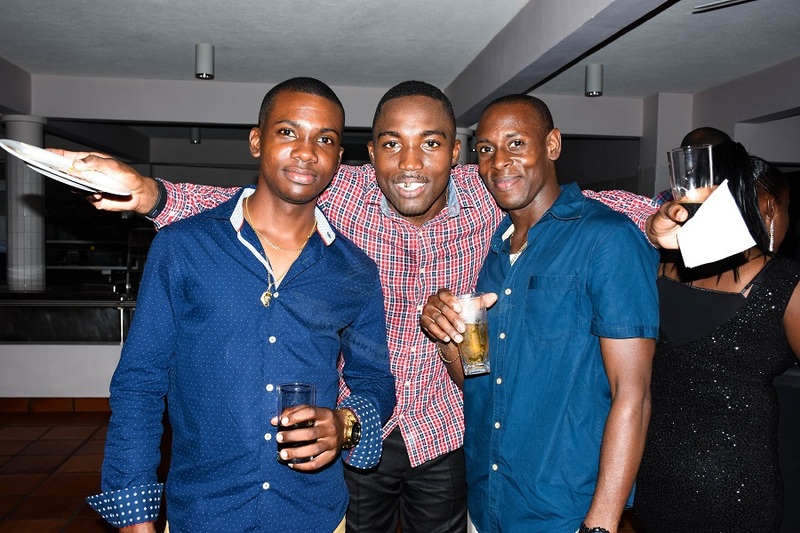 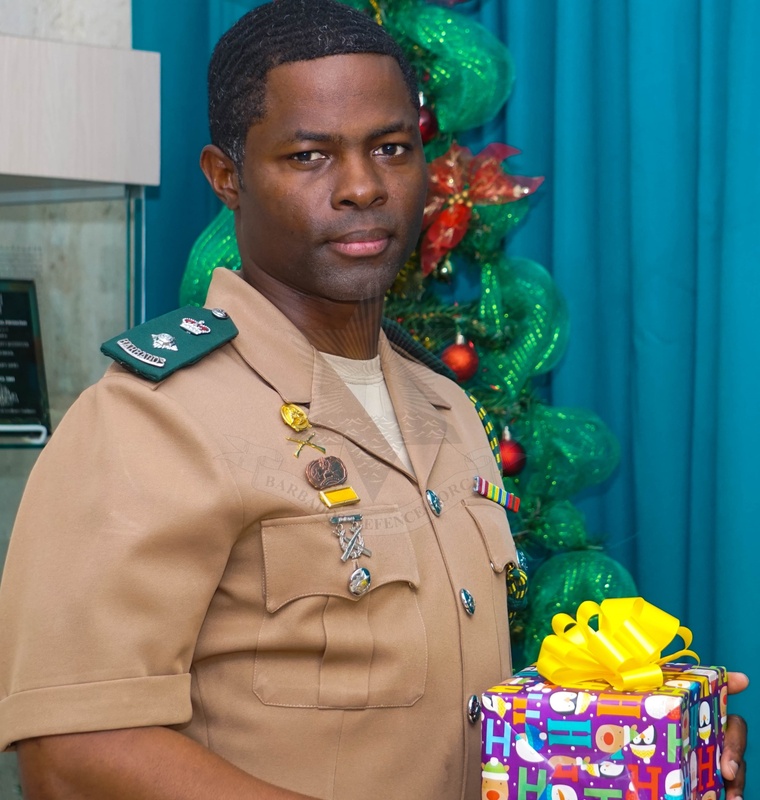 The Commanding Officer Lieutenant Colonel Carlos Lovell, Officers, Warrant Officers and Senior Non-Commissioned Officers of the Barbados Regiment expressed their appreciation for the unwavering support and dedication displayed by their Junior Ranks throughout the year with a Cocktail Party at the Pom Marine Hotel and Restaurant. 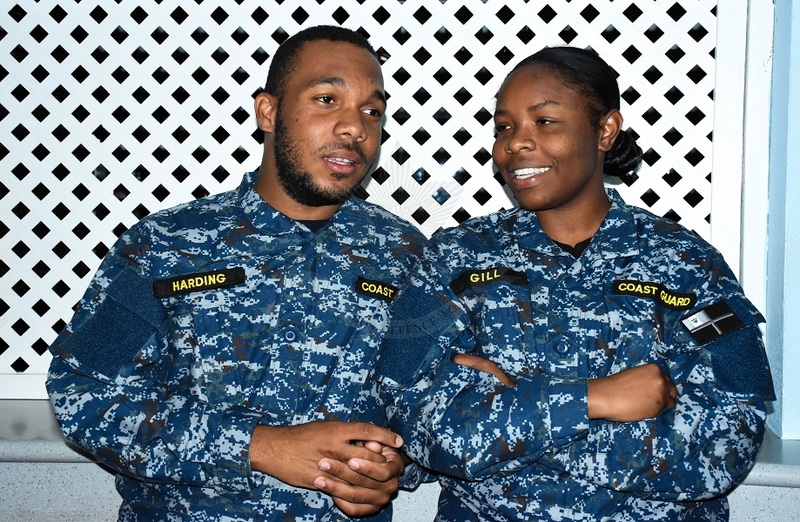 The Chief of Staff, Colonel Glyne Grannum and Deputy Chief of Staff, Commander Aquinas Clarke with the Commanding Officers of the Barbados Regiment and Coast Guard, Officers, Senior and Junior Non Commissioned Officers, Social Services Coordinators, Chaplaincy and Senior Civilian Officers; visited their troops on duty at the HMBS PELICAN, St Ann’s Fort and Paragon Bases. 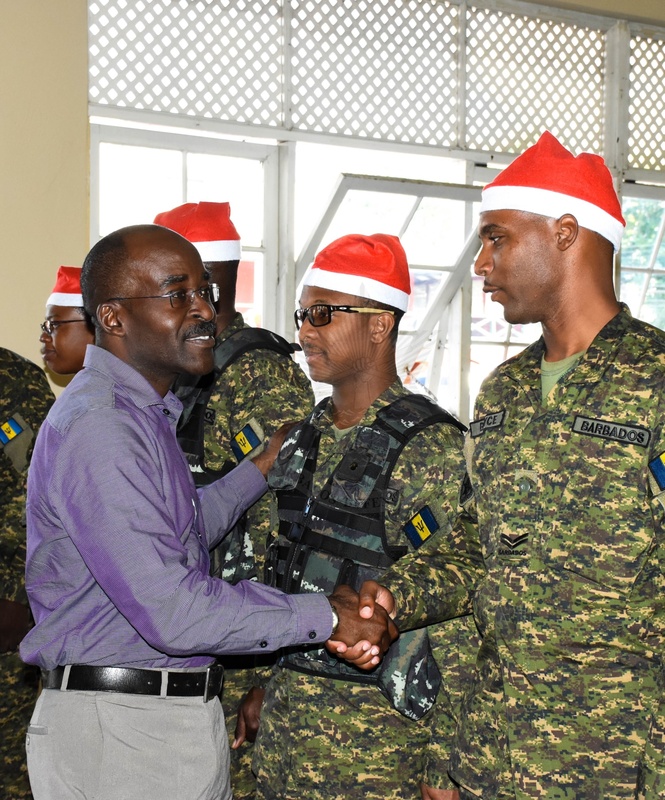 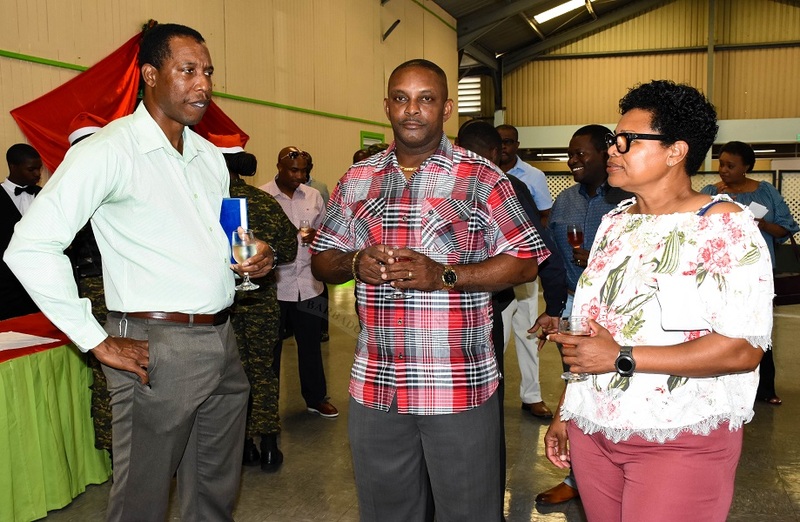 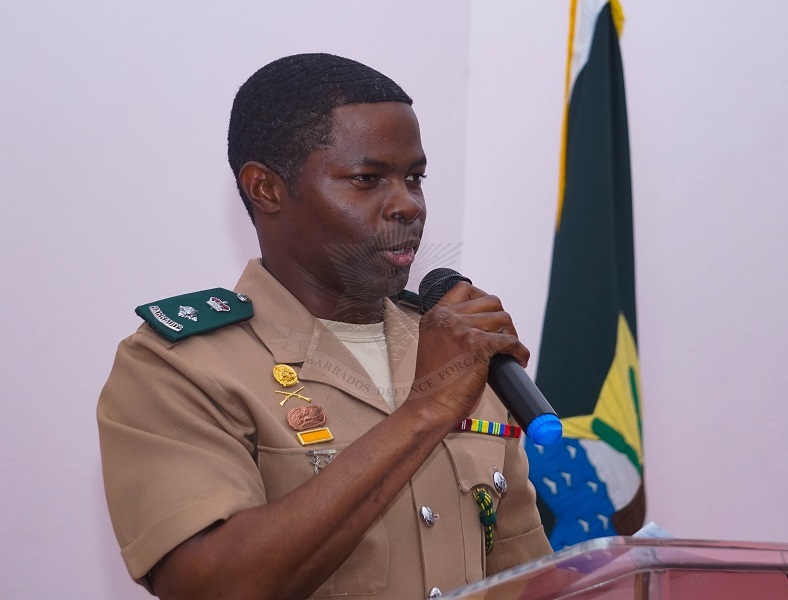 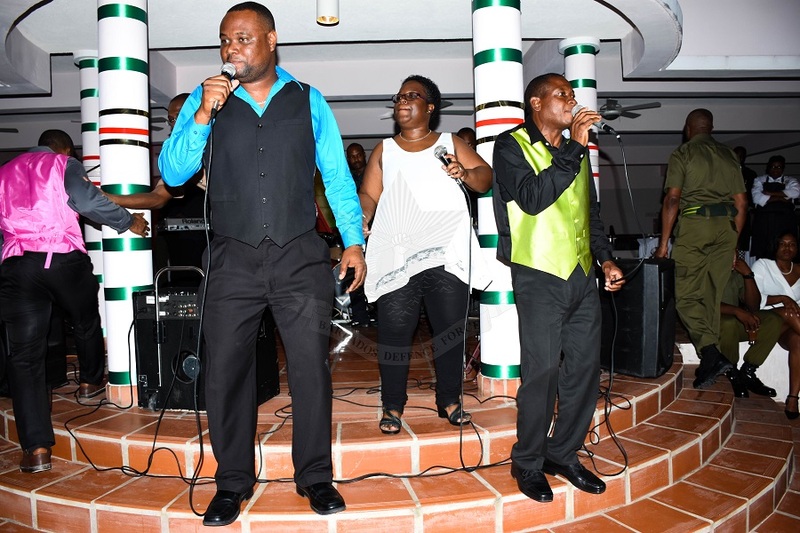 This 40-year-old tradition is always highly anticipated as it brings Christmas cheer to those on duty and away from their families during the Festive Season as the Barbados Defence Force continues to protect Barbados’ interests. 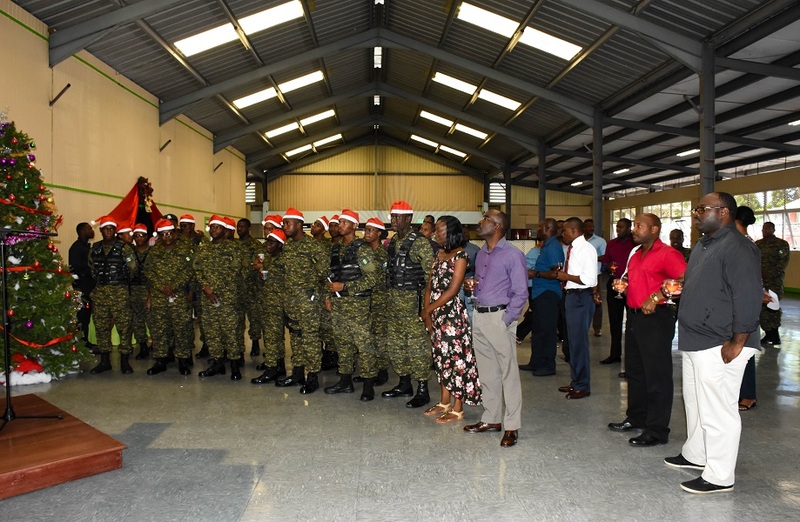 Command and troops shared in Christmas messages and carolling.